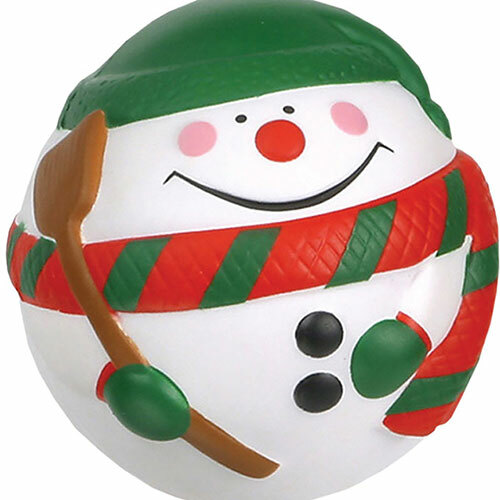 Holiday Stress Balls are ideal for your winter promos. Stressballs are still one of the most successful and loved promotional products. Imprint available on back and/or forehead; price includes your one color imprint in a single location. Imprint Area: Back – 1¼" x ¾", Forehead - 1 1⁄8" x ½"
Extra Charges: Setup Carge of $55.00 per color. Run charge of $0.20 per additional color.